BRACEBRIDGE — Police spent Wednesday morning searching for the driver of a pickup truck that hit the ditch while pulling three sleds. The driver of a pickup truck crashed on Hwy. 11 SB in Bracebridge near Cedar Lane, before fleeing. 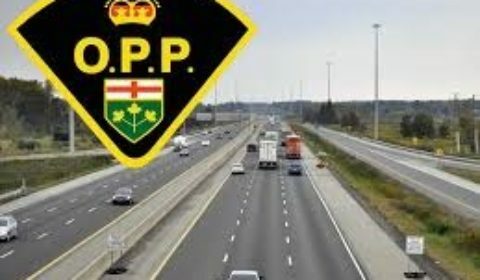 The OPP were called to assist at the collision on the southbound lanes of Highway 11 south of Cedar Lane, shortly after 8 a.m. this morning. But after the crash the male driver fled the area on foot. Members of the Bracebridge OPP detachment members were assisted by OPP Canine Unit and Central Region Emergency Response Team in searching the area. Officers were not able to locate the male. Police continue to investigate the collision and are attempting to identify the male suspect. If you have information about this incident please contact Provincial Constable Bateman-McKinnon at the Bracebridge OPP Detachment at (705) 645-2211 or Crime Stoppers at 800-222-877 or online atwww.crimestopperssdm.com. « 3 suspects arrested in Hwy. 12 robbery	» 30th annual Huntsville Fire Porchlight food drive on Wed. Dec. 5 at 6 p.m.